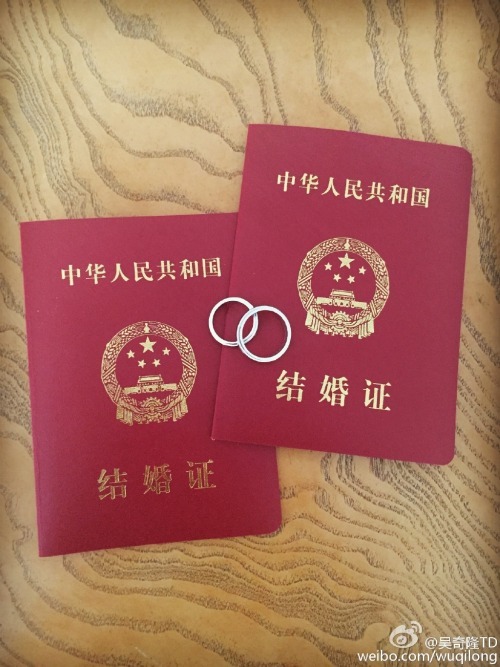 This entry was posted in Mainland China, Relationships and tagged Liu Shishi, Nicky Wu by Jo. Bookmark the permalink. Wow I didn’t see this coming so soon! + Jay Chou/Hannah Quinlivan and Huang Xiaoming/Angelababy. lol. But people don’t really seem to care much if the guy is older than the gal. at least it’s not as bad as nick tse’ s 80 year old dad and his 20-something year young girlfriend. I wish nothing but happiness for our dearest LongShi! I’m so happy for them. Yes, indeed live that happy ending Rouxi and Seyi didn’t get.